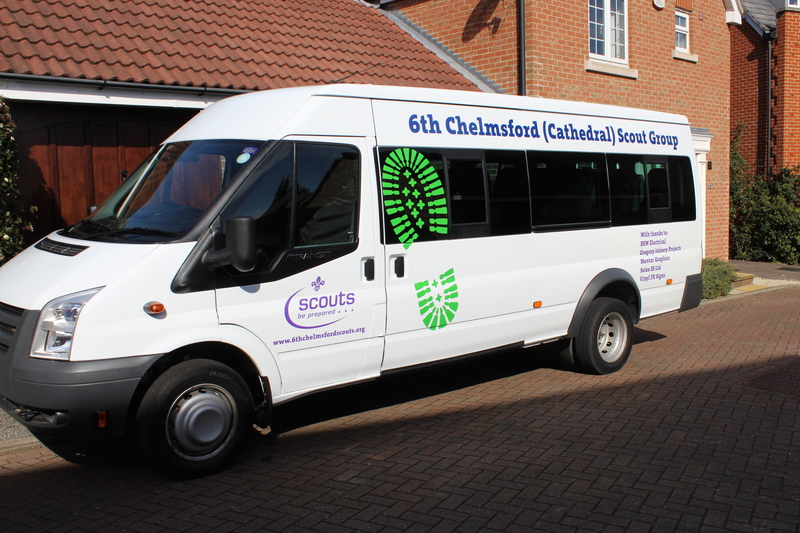 After a long period of fund raising it gives me the greatest pleasure to announce our new minibus has arrived. With thanks to the many people who donated toward it with special thanks to those companies who gave so generously. To Andy, Jay and Jim who gave up their time and energy to ride from Worcester, to Ian who drove out support vehicle. To all who helpd on the funday as we arrived back in Chelmsford. I must mention Scott Bunby too, who got up in the early hours to drive to Eastbourne to collect the newly purchased Bus. Finally my thanks to Andi Niven who gave up a Saturday to come and fit our fabulous graphics on his day off. I am sure this Bus will give both our young people and those within the District many adventures.